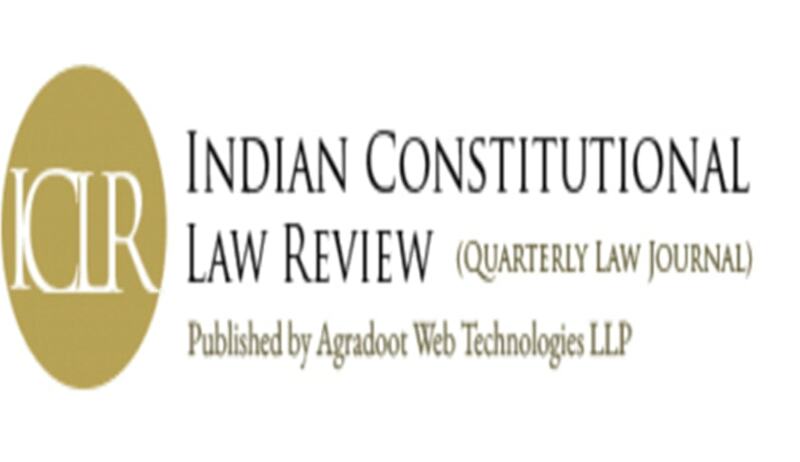 The Board of Editors of the Indian Constitutional Law Review (ICLR) is pleased to invite original and unpublished manuscripts for the VIII edition of the Journal due to be released by April 2019. Themes - contemporary happenings and/or any relevant issue in relation to Constitutional Law, Administrative Law and must establish its relevance to the area of study that the journal undertakes. The abstract is mandatory for Research Papers and Articles but not mandatory for Case Comments and must not exceed 400 words. All manuscripts/papers are to be sent in a Word Document Format (DOC/DOCX) to iclrq@agradoot.in. Last date for submission: March 05, 2019 [23:59].